Renata Litvinova visited the reception, which was arranged by designer Ulyana Sergienko. She posted photographs from the secular event in her microblogging. 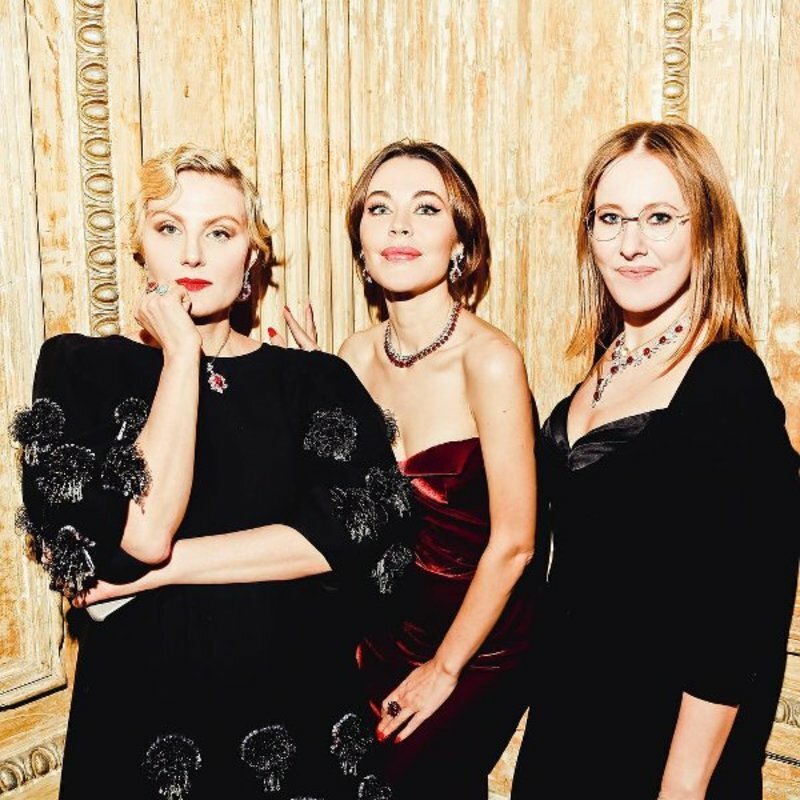 In one of the pictures shared to Instagram Litvinova is seen posing with the organizer of the dinner and with a possible candidate for the presidency of Russia Ksenia Sobchak. At the same time, she drew attention to the luxurious jewelry that was on her. And some particularly eye-catching and sharp-tongued followers noticed: now, apparently, rubies with diamonds are the trend as Renata, and Ulyana, and Xenia had sets of jewelry though different in design, but precisely from these stones. 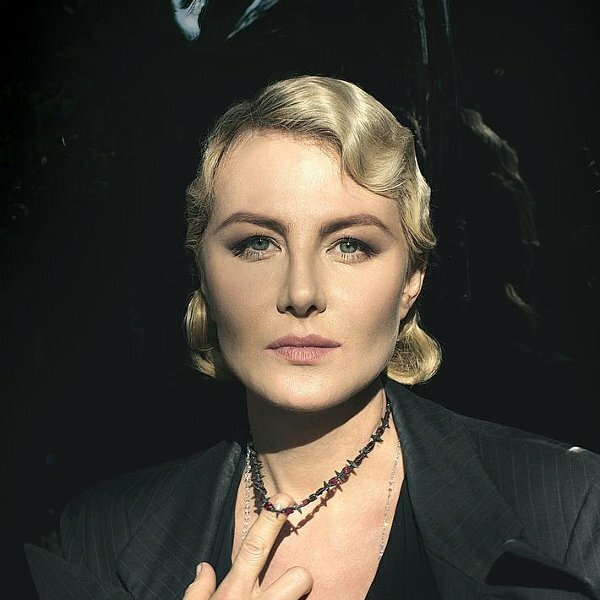 Russian actress Renata Litvinova @renatalitvinovaofficiall wearing Faidee Burmese ruby and diamond necklace at Ulyana Sergeenko The necklaces by Faidee, a dealer in rare, high-end rubies, with offices in New York and Hong Kong. The rubies were acquired over the course of four generations of the Lunia family, which owns and operates Faidee. Roop Chand Lunia, who founded Faidee in 1905, began collecting the prize rubies early in his career. Over the next four generations – about 70 years – his successors continued to hand-pick perfect specimens to add to the suite that became the Grand Phoenix. Roop's son, Rajeev Lunia, spent three decades adding to the collection, and this year, the search came full circle when Roop’s great-grandson and current director of the company, Ravi Lunia, brought them to life in the Grand Phoenix. 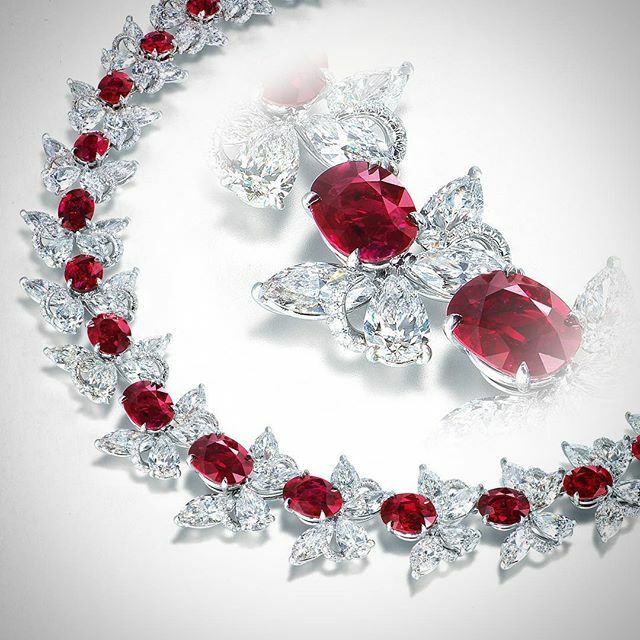 In a sense, it was like a grand renewal of the firm’s commitment to acquiring the world’s greatest rubies. The New Year's Eve dinner was attended by almost the whole Russian beau monde. In addition to Litvinova and Sobchak, there were: the star of the national pop scene Natalia Chistyakova-Ionova, the secular lioness Svetlana Bondarchuk, the opera diva Hibla Gerzmava, Ksenia Solovyova, and others. Renata Litvinova together with other guests became simultaneously a model, showing a new dress from Sergienko collection . The dedicated fans of the director unanimously said that Litvinova is good in all outfits, but "a black robe adorned with fluffy buboes is pretty bad". By the way, this is not the first time that Renata's fans are not thrilled with her outfit. Moreover, the director of "The Last Fairy Tale of Rita" has repeatedly been advised to change the stylist. But the hostess of the evening, Ulyana Sergienko, was showered with compliments. By the way, Sergienko conducted her reception at the Cristal Room Baccarat restaurant, which was designed by the legendary designer Philippe Starck. #Faidee Director Ravi Lunia with @frolburimskiy, @ulyanasergeenko, @xenia_sobchak and @renatalitvinovaofficiall all wearing Burmese Ruby and Diamond jewellery by Faidee. We must say that last weekend Renata Litvinova spent in a much closer company, arranging home gatherings with Svetlana Bondarchuk and Zemfira. Black and white photo, made by Litvinova herself, was posted on Instagram. Recall that the last directorial work of Litvinova was the novel "Dreams of Joseph", included in the movie almanac "Petersburg. Only for love "(2016). Now Litvinova is declared in two films as an actress: in 2018 the film "How to get a neighbor" and "To Paris", where Renata will play key characters, is scheduled to appear. In the lyric comedy "How to get a neighbor" viewers will see a story about the life of a writer who can not concentrate on creating a new book because of a very noisy but nice neighbor. Renata Litvinova's colleagues fwere Konstantin Kryukov, Maria Kozhevnikova and Yuri Stoyanov. The film "To Paris" is much more serious both in scope and in the topic: writers Stanislav Govorukhin, Sergei Ashkenazi and Sergei Sarkisov wrote a story of tankmen who fighted side by side and decided to celebrate the Great Victory in Paris. On the way to the French capital of heroes immerse themselves in the exciting adventures.